Eric Dier full name is Eric Jeremy Edgar Dier who was born on 15 January 1994 at Cheltenham, England. His father name is Louise Dier who is a former professional tennis player and mother name is Jeremy Dier. His grandfather Ted Croker is a former secretary at “The Football Association” and president of Cheltenham Town. The Dier family moved to England when he was seven years. While Dier was playing football at the International Preparatory School in Libson he was spotted by his teacher and was he referred him to Sporting scout at the age of eight. He signed professional terms with Sporting in April 2010. He joined to Everton on loan in January 2011 and represented Everton U18s ten times and won the 2010-11 U18 Premier League with the team. He also extended his loan stay in Everton Academy for additional twelve months. Dier made his debut with Sporting B in 2012-2013 Segunda Liga on 26 August 2012. He scored his first senior goal on 4 November 2012. He was called to play in the first team in Primeira Liga on 11 November 2012. Dier signed a five-year contract with Totten ham Hotspur on 2 August 2014. He made his first debut for the club on first day of the 2014-15 Premier League. He signed a new contract on 9 September 2015 which lasts until 2020. He was made to play as a defensive midfielder during the 2015-2016 seasons. On 15 August he scored his first goal for Totten ham club in the Premier League. On 13 September 2016 he again signed a contract which lasts for 2021. He made his UEFA Champions League debut in Totten ham opening group match. He also captained Totten ham for the first time and in that they won over Liverpool. Dier earned his first call up in November 2011. He was named in 21-man squad for the 2013 FIFA U-20 World Cup on 28 May 2013. He made his debut on June 16 and won over Uruguay. He made his debut for England under-21’s on 13 August 2013 in which they won over Scotland. Dier was also selected for the senior team to England on 5 November 2015. On 26 March 2016 he scored his first international goal. He was also chosen for UEFA Euro 2016 in France. On 10 November 2017 he captained the England team. Dier was named in 23-man England national team squad for 2018 FIFA World Cup and he captained the squad in final group stage match against Belgium. He scored the penalty on the second round match against Colombia which gave England its first ever World Cup Shootout Victory and first Competitive shootout victory since EURO 1996. 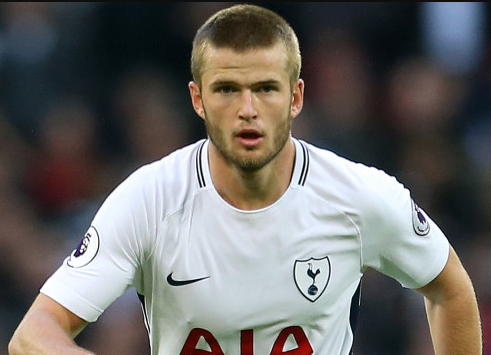 Eric Dier height is 1.88 meter which is 6 feet 2 inch and weight is 90 kg. He earns annual salary of $1.3 million from Totten ham. Eric Dier is not married but is in a relationship with Maria Hansen since 2016.